Can any guitarist who wants to think of themselves as a rocker not really get round to learning Welcome To The Jungle? Nope, they can't so with that in mind you can learn it hear and learn all about the bands 2018 tour which as recently been announced. Welcome To The Jungle – Learn to play now! Welcome to the jungle, just one of a battery of songs from the above band! 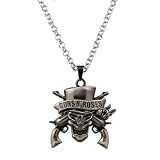 It’s hard to overestimate the lasting power and reach of Guns and Roses. As we provide you with videos of one of their most loved songs “Welcome To The Jungle”, first we look at the news that the band has announced a new tour for 2018. There are a lot of videos on Youtube where you can learn Welcome to the jungle, however, this one is well worth a watch and is well worth watching. and it wouldn’t be right to actually see Guns and Roses play it would it so enjoy! It’s always good to hear what Twitter users are saying and displaying. Here is a selection of the best and most relevant Tweets on the subject of the new Tour and Welcome To The Jungle. 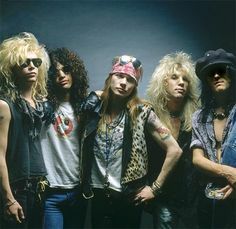 #NowPlaying Welcome To The Jungle by Guns N' Roses. Listen on the web at https://t.co/464DbcC9ow. Download the mobile app and take us with you.